The Saho River is lined up with numerous cherry trees. Princess Saho dyes Nara City pink. How is it in autumn? but I think the area along the river looks fabulous in autumn, too. Autumn foliage of cherry is thought to be sober compared to those of Japanese maple. 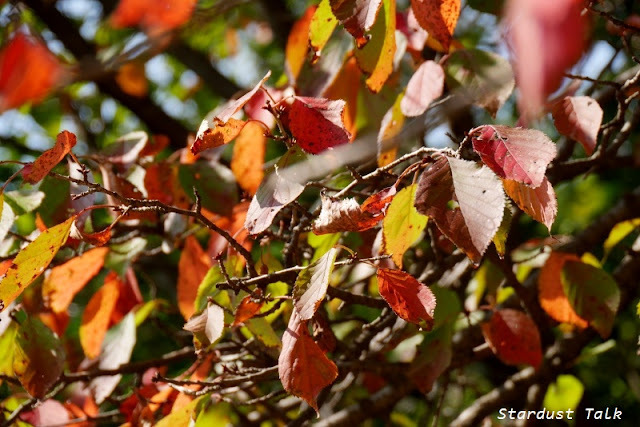 while cherry tree leaves look faded color due to the thick leave. the front is bright yellow, orange, or red, while back is sober yellow. it might be better to see the fresh fallen leaves on the ground. hearing the crunching sound under feet. Halloween, originated from the ancient Celtic festival of Samhain, seems to have evolved differently from country to country. In Japan, Halloween has become popular as a secular seasonal event of October in the last decade and scary cosplay festival has gotten popular these years. (This is Halloween, Japan Style) As the night gets longer and colder, it’s not bad to get together to have fun if only good manners are kept. There is lots of commercialism like Halloween-related sales including sweets and snacks in Halloween packaging. No trick-or-treating for children. F and Y are pleased with sweet treats at home. Oh, the children are so sweet. The Halloween tradition is a strange one because there are real scary things in the world and to pretend to be scary is perhaps a once-a-year acknowledgement of that in a way that is most often safe. When I was a little girl, walking around the neighbourhood in the dark and knocking on doors was a bit scary but also fun. It was a joy to get a bag filled with candy, apples and homemade treats. Nowadays for safety purposes, the candy is carefully packaged and readily available in stores year-round. A little of the magic has faded but the wearing of costumes has increased and people love to play dress up at all ages. 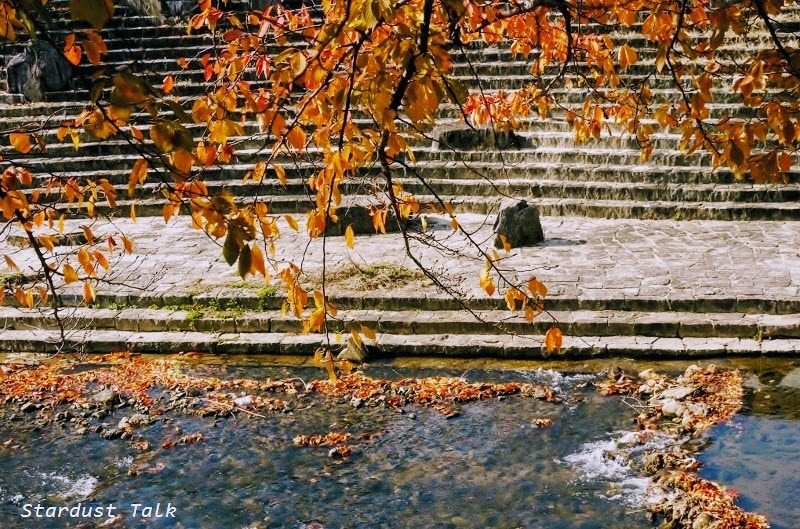 Beautifully compare the colors of autumn cherry leaves the colors of Halloween. We are also a little playground for the occasion. You have a beautiful granddaughter. Regards. Oh my goodness, I came back to tell you I checked out the Kiki trailer. What a wonderful little character. I LOVE her big red bow. What a perfect costume that would most certainly suit you! Beautiful colors, beautiful pictures !!!! 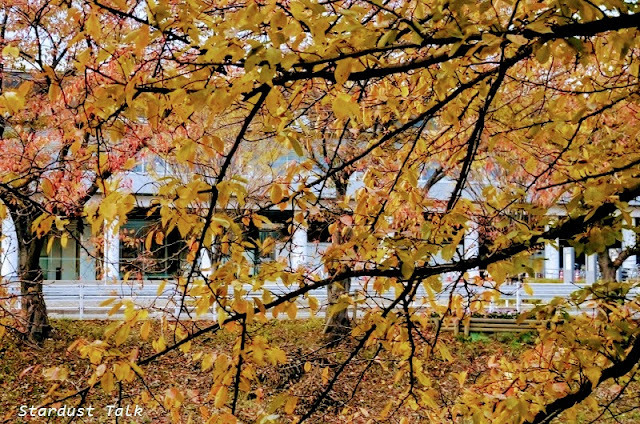 More of your delicious photos filled with the gorgeous colors of the season. What a delight to scroll through these photos! 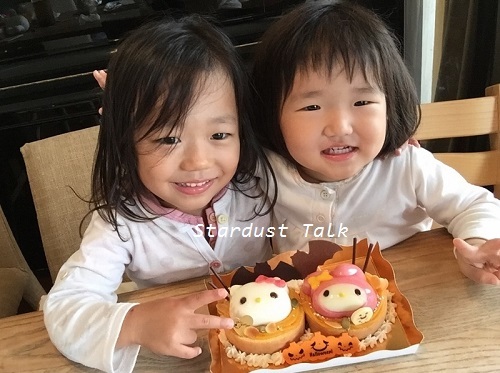 And those two little girls are adorable! Happy Halloween! your grands are so beautiful. :) glad they were good to get their treats. loved the fall leaves and views. F&Y are so very cute! I love the second photo with the fence, which is wonderful, but what i really love is the light and the leaves in the grass. lovely Samhain to you and yours. Beautiful fall colors. 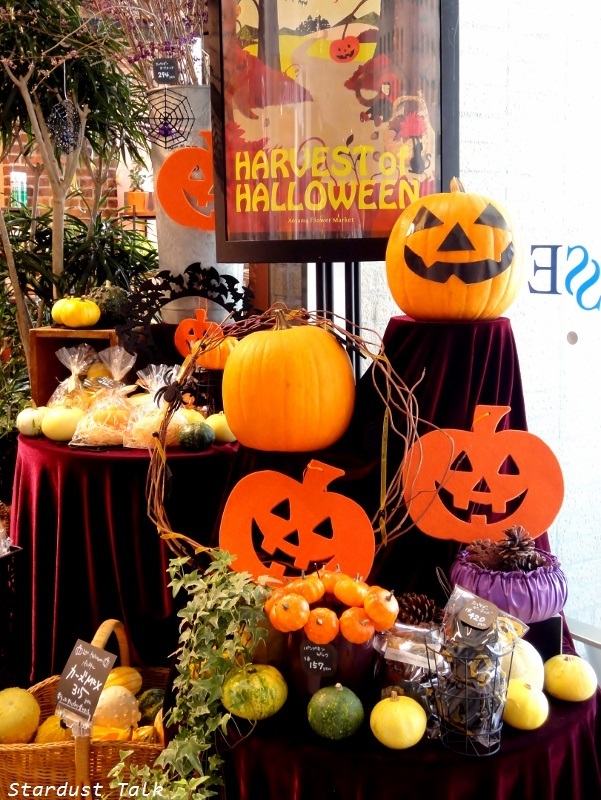 I enjoyed hearing about Halloween traditions in Japan. You have given us the Japanese version of Halloween, and I find it delightful. Of course, I'm especially smiling at those granddaughters who have received their treat! I adore the fence shot. The cherry trees are subtle but a wonderful celebration of fall. My own Grands are in their neighborhood or among friends having fun this Halloween night. I love the many colours of autumn, especially when they are reflected in the water. I also love the crunch of the leaves underfoot. It is interesting to see how holiday celebrations evolve in different countries. And yes - your grandchildren are adorable! Another fall comes back and always different. This year is giving beautiful colors. Happy Halloween . Your little grandies are delightful! And your photos of the trees in their autum leaves are lovely. Every season has it's own beauty. 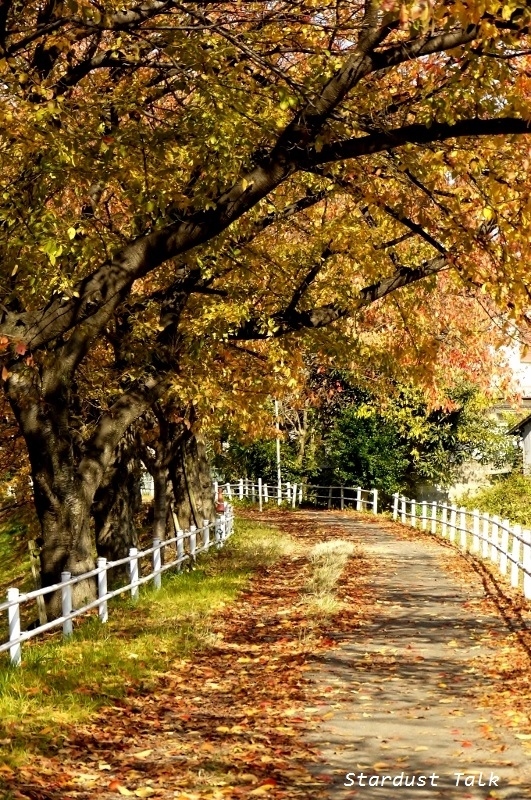 Autumn has been colored gradually. Calm season is the joy of life. Your photos are wonderful, such pretty colors of autumn. Dear Yoko, grazie mille for the tips and links. On your advice I changed the dates to stay in Nara for 2 nights. Anyway, the hotel is next to the park, there will be enough time to absorb the harmony you depict in your blog. Thanks again, take care! 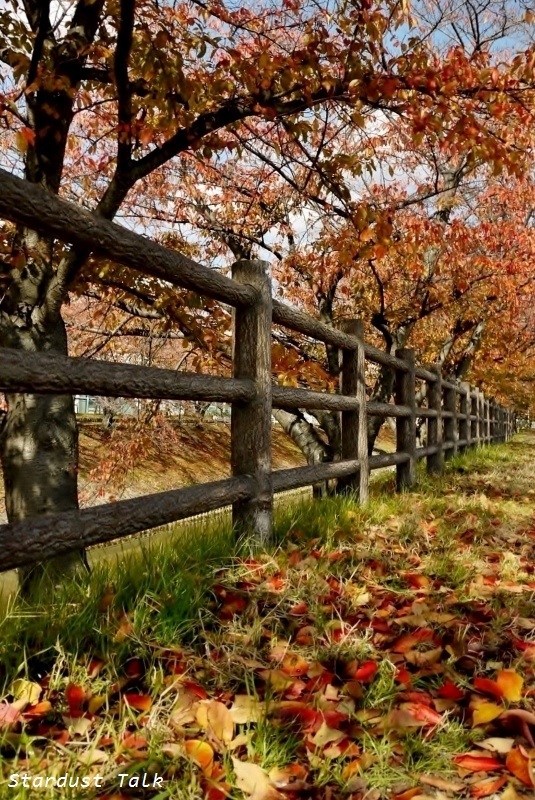 Your Japanese autumn and its colours doens't look much differently from our European one! Many of our trees and bushes still have their red and golden leaves - and you see pumpkins at every corner! Currently we've had a great start into the month of November - a lot of sun at a blue sky, temperatures up to 20°C and within the next days there's no rain or bad weather in sight. So we can continue to enjoy our golden autumnal season a little longer than usually. All the best from Germany to Japan, Uwe. What delicious shots - so much beauty! Bom fim de semana com tudo de bom!!! What a sweet photograph of the little girls! 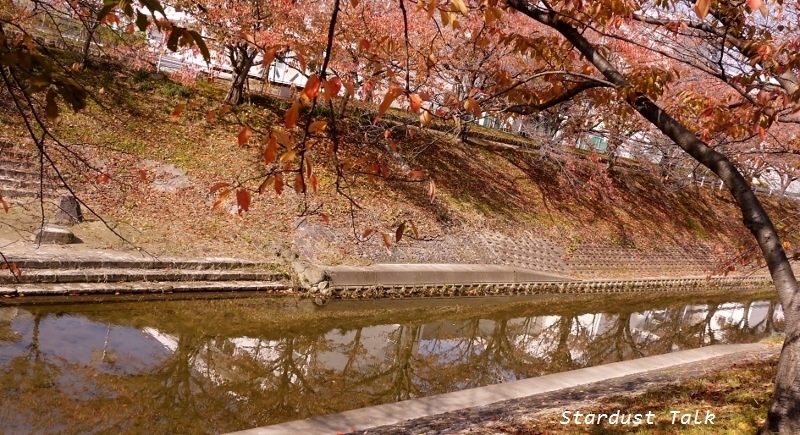 I like cherry foliage in the autumn but I don't know if it is the same variety of cherry as is found in Japan. But I noticed a rather interesting thing this autumn. We have a large cherry tree opposite us across the road at the front of the house. In the garden at the back is another cherry tree. Both change colour and have flowers at very slightly different times. Both are grown from pips as they have grown very large, like forest trees (which is how wild cherries grow here in England). But whereas most years both trees blaze in wonderful shades of red and yellow, this year they seemed a little dull and faded in colour. Beautiful of course, but not eye catching and amazing like they have been in previous years. There must be some reason to do with the weather we have had this summer, but I never knew really that it could affect the autumn colours.